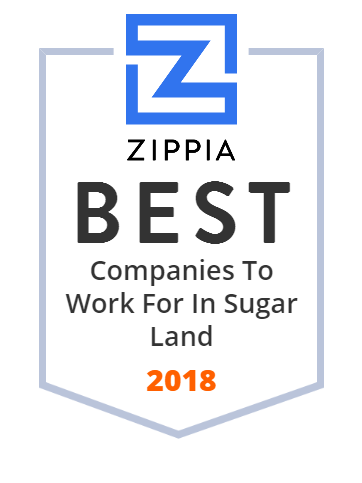 We hand-curated a list of the best companies to work for headquartered in and around Sugar Land, TX using data on salaries, company financial health, and employee diversity. Fort Bend Independent School District was created by the consolidation of the Sugar Land ISD and Missouri City ISD in 1959. Imperial Sugar is a major US sugar producer and marketer based in Sugar Land, Texas, with sugar refinery operations in California, Georgia, and Louisiana. Trecora Resources primarily manufactures and sells various specialty hydrocarbons and synthetic waxes in the United States. The company operates two segments, Petrochemical and Specialty Waxes. The Petrochemical segment offers hydrocarbons and other petroleum based products, such as isopentane, normal pentane, isohexane, and hexane used in the production of polyethylene, packaging, polypropylene, expandable polystyrene, poly-iso/urethane foams, and crude oil from the Canadian tar sands, as well as in the catalyst support industry. It also owns and operates natural gas pipelines. The Specialty Waxes segment provides specialty polyethylene waxes for use in the paints and inks, adhesives, coatings, and PVC lubricants markets; and specialized synthetic poly alpha olefin waxes for use as toner in printers, as well as additives for candles. Trecora Resources also provides custom processing services; and produces copper and zinc concentrates, and silver and gold dor . The company was formerly known as Arabian American Development Company and changed its name to Trecora Resources in June 2014. Trecora Resources was founded in 1967 and is based in Sugar Land, Texas. Provides Help Supply Services, Specializing In Engineering Help (100%). SouthWest Water Company Inc. owns and operates water and wastewater systems, which supply water to residential and business customers in Alabama, California, Oklahoma, and Texas. Its activities include water production, treatment, and distribution; wastewater collection and treatment; customer services; and utility infrastructure construction management. The company s management, operation, and maintenance services for water production and distribution systems include ground and surface water production, water treatment and purification, meter reading, customer billing and collection, customer service and dispatch, 24-hour emergency response, water quality assurance and laboratory services, facility inspections, well installation and maintenance, preventive and corrective maintenance, equipment installation, leak detection and repair, telemetry, and engineering services. Its services for wastewater collection and treatment systems comprise treatment plant operation and maintenance, lift station operation and maintenance, sewer line cleaning, sewer line inspection and repair, inflow and infiltration analysis, bio-solids management and recycling, industrial waste monitoring, laboratory testing, and compliance monitoring services. The company also provides regulatory affairs management and related services, such as utility system evaluation and troubleshooting, personnel management, and capital needs assessment services. SouthWest Water Company Inc. was formerly known as San Jose Hills Water Company and changed its name to SouthWest Water Company Inc. in January 1954. The company was founded in 1946 and is based in Sugar Land, Texas with regional offices in Birmingham, Alabama; Covina, California; and Sugar Land and Pflugerville, Texas. FairfieldNodal is a privately held full service geophysical company with worldwide operations. Prime Communications proudly serves as one of the largest Authorized Retailers of AT&T products and services. Learn more about the online defensive driving courses available at Ticket School for drivers in Florida, Texas, New York, Michigan, Virginia, Tennessee, and Louisiana. Club Systems creates easy to use, comprehensive gym management system with custom solutions for your specific needs. Sugar Land is a city in Fort Bend County, Texas, United States, located in the southwestern part of the Houston-The Woodlands-Sugar Land metropolitan area.